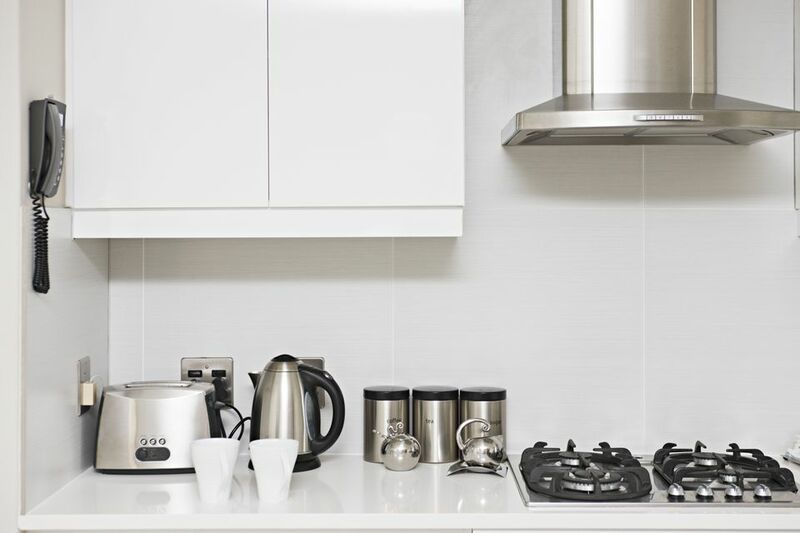 Gather and organize the small appliances you need to pack. Be aware of parts that are made of glass and fragile pieces. These should be packed more carefully. If there's a chance that you will not unpack or need certain appliances right away, plan to group these together in one or more packages, and label all of the contents of each package. If you find that you don't have the space or need for these appliances after you move, they'll be easy to store until you need them. And with clear labeling, you won't spend time rummaging through all the boxes for one specific appliance. Clean and thoroughly dry each appliance before packing it. Make sure you remove any parts that are loose, such as the glass tray from inside the microwave. Separate all loose/removable parts from each appliance, such as a microwave tray or blender blades. These need to be handled according to their fragility. If there are any instructions on how to reassemble the appliance, write them out on a piece of paper and attach the paper to the part before wrapping it. Use the appliance's original packing, if you have it. Otherwise, select a few small- to medium-sized boxes. Tape the bottom flaps of all boxes with packing or sealing tape to be sure they are secure. Do this even with preassembled boxes. Tape dries out and loses its grip over time, and you don't want to have a blowout during the move. Lay plain newsprint or brown wrapping paper (packing paper; not gift wrap) onto a clean work surface. Lightly crumple sheets of paper and add them to the bottom of the box. Crumpling the paper creates a structure to provide some shock absorption. Wrap the appliance completely with two to three sheets of paper. Secure the paper tightly around the appliance with packing tape. Whenever possible, try not to tape the appliance directly. Packing tape is very sticky and can be difficult to remove from smooth surfaces. If the items remain in storage for awhile, the tape adhesive may become semi-permanent and require a solvent for removal. Place the wrapped appliance and any additional parts, including electrical cords, into the box. If the box can hold another appliance, wrap a second, using the same techniques, and place it next to the first. If there are small pockets of space, fill these with slightly scrunched paper or packing peanuts. You could also add small pots or pans or other non-breakable items. Just make sure to add paper to any unwrapped items to prevent scratching and staining. Frying pans are notorious for marking up nice, shiny plastic appliances! Add crumpled paper over the box's contents so there is no empty space at the top. Close the box and secure it with packing tape. Label the box "Kitchen," and list each of the contents inside. You'll be glad later when you need to find that one elusive item you were "sure" you packed with so-and-so.